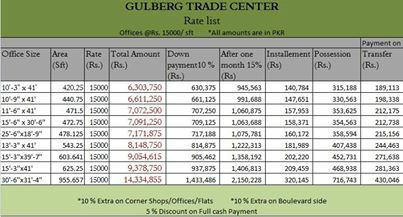 Gulberg Trade Center is located in the first commercial area of Gulberg Islamabad near Quaid-e-Azam Bridge towards the right in B Block. 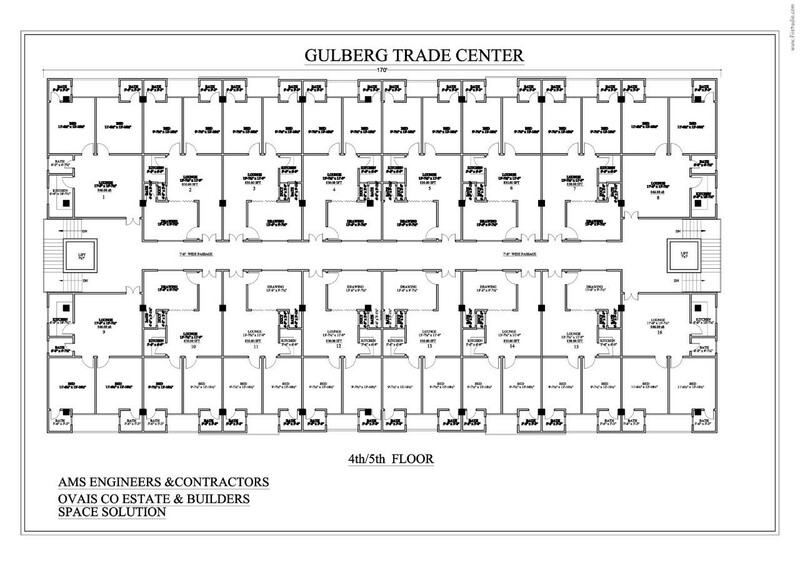 Construction work is in advanced stage while very few options are left for booking. 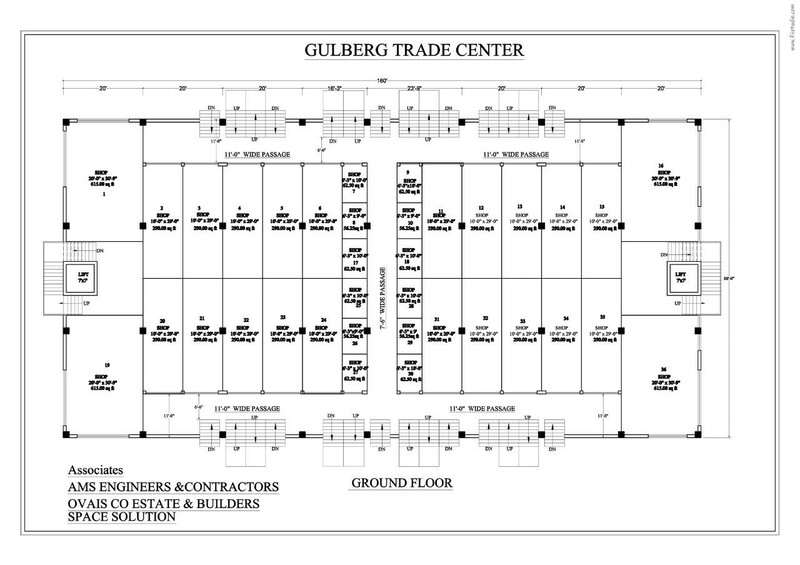 The plaza consists of 4 commercial floors and 3 residential floors i.e. 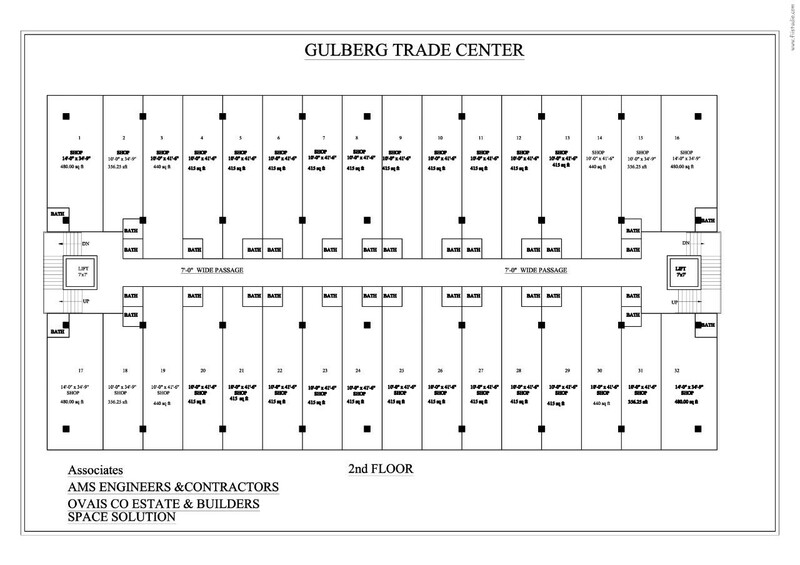 shops on lower ground floor, ground floor and first floor, offices on second floor and apartments on 3rd, 4th and 5th Floors. 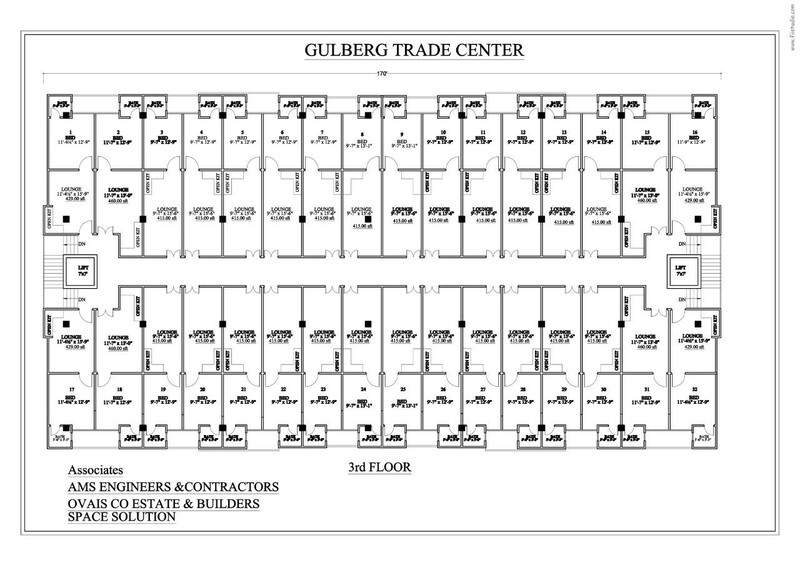 3rd floor has one bed apartments, whereas 4th and 5th floors have 2 bed apartments. 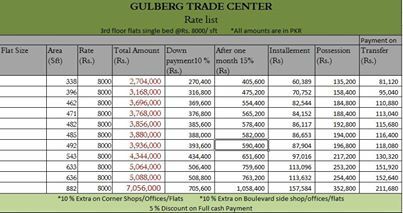 Gulberg Trade Center offers 2 year installment plan with 25% down payment and remaining amount to be paid through installments. 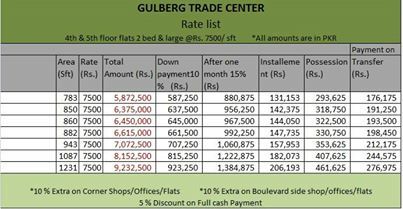 Rates are as per sqft on each floor. 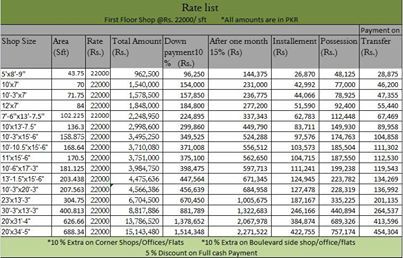 Corners and main road facing shops, offices and apartments cost 10% extra, while 5% discount is offered on full cash payment. 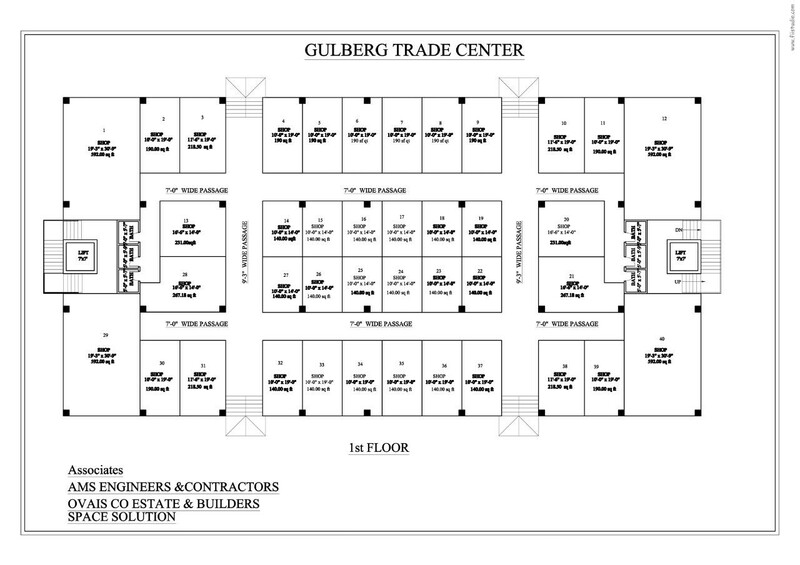 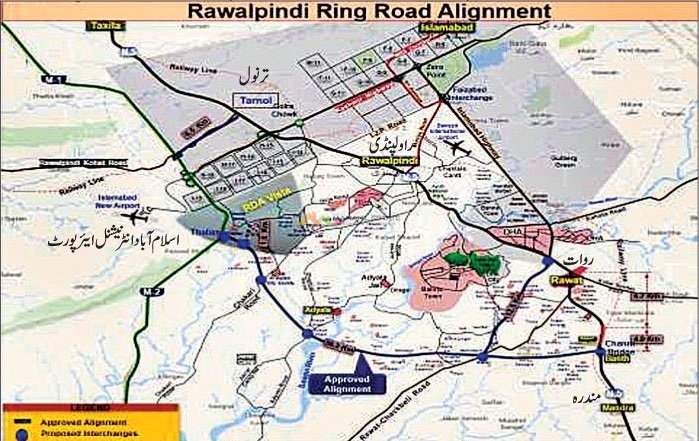 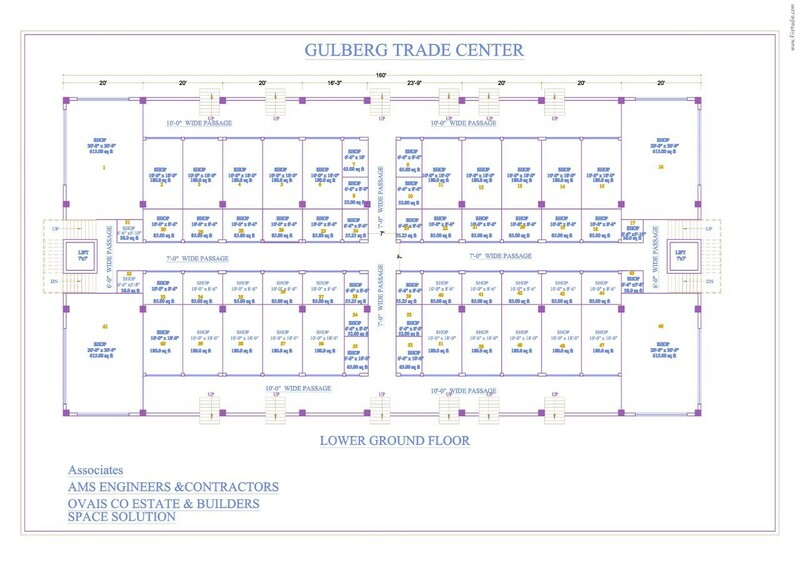 Since the location of Gulberg Trade Center is at the entrance of Gulberg Greens near first bridge, it is an appealing investment opportunity for businessmen as well as investors to book apartments, shops or offices in this project.